LeBron James was born on December 30, 1984 in Akron, Ohio. He was raised by his single mother who often did not have sufficient money to pay rent for their residence. So she sent her son to stay with a local football coach who introduced LeBron to basketball at the age of nine. As he was growing up he chose to play for the Northeast Ohio Shooting Stars team. As part of this team LeBron was able to achieve success at both the local and the national level. Instead of joining his local public school he joined St. Vincent-St. Mary High School which had predominantly more number of white students. In his freshman year LeBron had averaged 21 points and 6 rebounds per game. 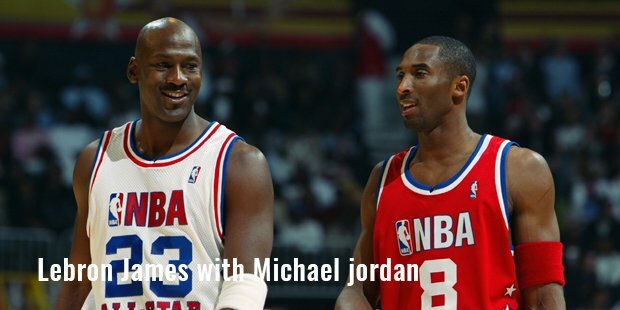 But he soon averaged 29 points, 8.3 rebounds, 5.7 assists, 3.3 steals per game. This was a dramatic growth in such a short period of time. He was improving his overall game quickly and becoming a very valuable player to his team. In 2002, LeBron tried to enter the NBA, but was considered ineligible because he had not yet graduated from High School. In his senior year LeBron’s average stood at 31.6 points, 9.6 rebounds, 4.6 assists and 3.4 steals per game. For his achievements, he was named Ohio’s Mr. Basketball for three years in a row. He was featured on the cover of Sports Illustrated which was a hint at the expectations that rested on him. All his matches were having seating problems because of the increased number of spectators coming to watch him play. In 2003, he was selected in the NBA draft to play for the Cleveland Cavaliers. In his first game itself he scored 25 points. He averaged 20.9 points, 5.9 assists and 5.5 rebounds per game in that year. He was awarded the Rookie of the Year Award. In the next season he became the youngest player in the history of the league to score a triple-double. For his excellent performance that season, he was selected into the All-NBA Team becoming the youngest ever to do so. In 2006, he helped the Cavaliers qualify for the play-offs for the first time since 1998. He signed a four year contract with the Cavaliers for a sum of $60 million for playing for them till the 2009-10 season. LeBron took the Cavaliers to the play-offs in every subsequent year with his consistent performances. But he was disappointed at not being able to win the NBA Championship. So when his contract ended in 2010, he took the decision of joining Miami Heats. Now he had a fair chance of winning title with other prominent players taking a share of his responsibility. In the first season, they fell short of the Championships by losing in the NBA finals. But LeBron improved his performance in 2012 to help his team clinch the NBA Championship and thus silenced his critics forever. He had achieved the last hurdle that would make him one of the most successful basketball players of this generation. He did not lose his hunger for success and went on to win the title again in 2013. Today he has four NBA Most Valuable Player Awards and has been selected on nine NBA All-Star teams. 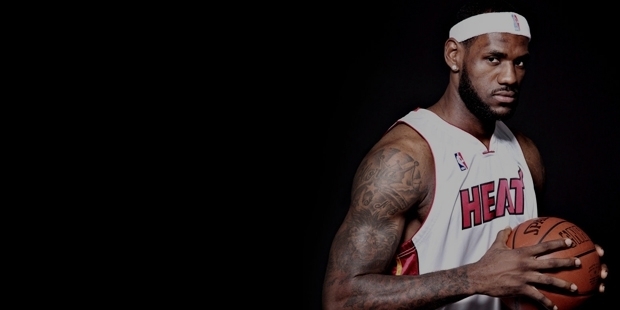 Today LeBron James is a global superstar having unmatched fan following in the U.S. and around the world. He has also been part of two Olympic Gold Medal winning teams. He had more than $56 million of earnings in 2013 making him the highest paid basketball player and one of the top-paid athletes in the world. He has advertising contracts from companies like Samsung, Nike, Coca-Cola, McDonald’s and many others. From being at the centre of media attention from a young age, LeBron James has become a brand that people can rely upon.